Hey, great audio links. Can you put them up as Mp3's. I'm still stuck in the cell phone dark ages and not likely to upgrade to an iphone anytime soon. Thanks and great great links! Absolutely. Unfortunately, I'm currently out of the country, but I will be back on Tuesday and will do it as soon as I am. Thanks for checking out the blog! THANK YOU!!!!!!! THANK YOU THANK YOU THANK YOU!!!!! Thanks for the post! Did you ever convert these to mp3s? Where might we find them? Great blog. Yep, I just updated it for you (at least for the Harry calls). 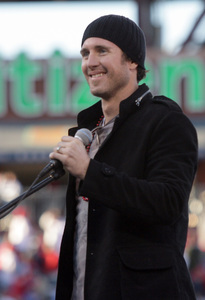 You'll see “download as .mp3″ under #'s 3 and 4 and will look for the Chase Utley .mp3's now. Thanks for reading! I’m going to update this blog post with a link to it as well. Thanks for the idea, and thanks for reading, even if for such a sad occasion. These are all mp3s, not iOS files. These will NOT load to an iPhone. The links are websites, not an iOS download and on an iOS device, there is no way to save it to the ring tone section. their returns policy in the event that you receive damaged orr faulty goods from them. Be wary of monthly membership fees, hidden costs, andd additional fees.